Ghosts. Spies. Space odysseys. A team of misfit super villains masquerading as heroes. Some really raunchy animated sausages. Yep, the second half of 2016’s summer blockbusters will keep parents and youth workers on their toes. We’ve already covered the biggest films of May and June here, but we still need to take a look at the films being released to young viewers in July and August of this summer. Below, you’ll find the second half of our 2016 summer blockbuster previews. Sadly, not all of these flicks are going to be what we’d label “family friendly.” With that in mind, we’ll link official trailers, provide the MPAA rating (where available), and offer a few quick thoughts on some of the movies guaranteed to get the attention of teenagers. Finally, we’ll provide a couple of tips for viewing summer movies with the kids in your life. The previews are over. Let’s get to the main attractions…or biggest distractions. We all know that the baby boy left in the jungle to be raised by wild animals grew up to be Tarzan, but The Legend of Tarzan will show us what happens when that grown man returns to the jungle after living a civilized life in London. The movie’s official trailer reveals the action sequences that will make up much of this movie, but it doesn’t give us a lot of insight as to the plot. 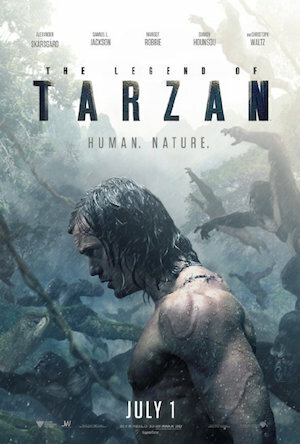 Fortunately, trailer #2helps clear up some of the storyline by giving us a bit of background on Tarzan (Alexander Skarsgård) and the other characters, including Jane (Margot Robbie), George Washington Williams (Samuel L. Jackson), Captain Rom (Christoph Waltz), and Chief Mbonga (Djimon Hounsou). The Legend of Tarzan will bring back the hero of the jungle; the next film on our list will bring back the heroes of the concrete jungle. A new cast. A new car. A new version of the theme song. A new round of trouble. Who ya gonna call? 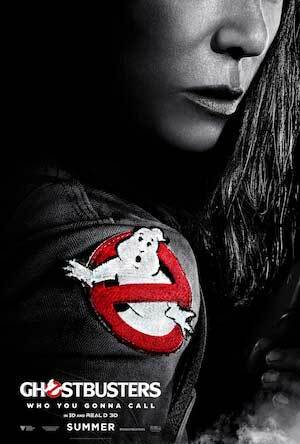 30 years after it was saved by the first Ghostbusters crew, New York is under attack by the paranormal once again. But this time, according to the movie’s official trailer, the heroes who fight back against the apparitions will be a team of female scientists. Abby Yates (played by Melissa McCarthy), Erin Gilbert (Kristin Wiig), Patty Tolan (Leslie Jones), and Jillian Holtzmann (Kate McKinnon) lead the cast that also includes Chris Hemsworth, Bill Murray, Sigourney Weaver, and Dan Aykroyd (who’s also one of the film’s writers). Moviegoers may get a sense of déjà vu from the science fiction-based comedy that made the originals such a hit years ago. That said, this film has plenty of (online) haters – mostly Gen Xers – who think the new flick will ruin the nostalgia of the preceding films…and they’re warning the world by uploading expletive-laden rants on YouTube. Though this movie is currently unrated by the MPAA, it’s a safe bet it will get a PG-13 stamp that will take full advantage of our sensibilities. Expect heavy sensuality, crude jokes, and of course, some good old ghost-given-grossness to be sprinkled throughout this movie. If you have any doubts about this film’s appropriateness for your teenagers, make sure to check out our MOVIE REVIEWS & QUICK Qs page before taking the kids to see this one. After the team of scientists tries to make ghosts extinct in the Big Apple, we’ll see a well-known movie franchise actually go extinct…. Throw out your science books – we finally know how the prehistoric animals of bygone ages went extinct! A saber-tooth squirrel, in a frantic and endless search for his nut, drove a spaceship through the galaxy causing planets to collide and fragmentary meteors to rain down on Earth. At least, that’s what Ice Age: Collision Course’s first movie trailer reveals, anyway. 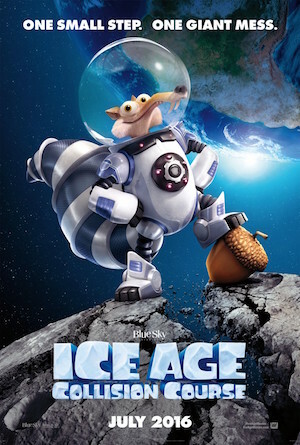 While the first trailer focuses on Scrat’s comedic (and planet-threatening) pursuit of a chestnut, the movie’s second trailer reveals how his galactic screw-up affects the other creatures from the Ice Age franchise, namely, Manny (voiced by Ray Ramano), Sid (John Leguizamo), and Diego (Denis Leary). Wait a second! Meteors? On a collision course with Earth? Is this…the end? Yep, the franchise we fell in love with back in 2002 is going extinct with Ice Age: Collision Course. It’s been a good run for the mismatched crew; together, they’ve raked in more than $2.8 billion worldwide! This one will be great for younger kids. Like all the previous films in this series, Ice Age 5 will probably be rated PG by the MPAA and completely clean. Regardless, I hope we’ll finally get to see Scrat enjoy his nut that he chased through outer space in a spaceship. The crew from the USS Enterprise is at it again, only this time, the famed heroes of Starfleet have been marooned on an inhospitable planet after their ship was attacked by aliens. As his list of enemies continues to grow, Capt. 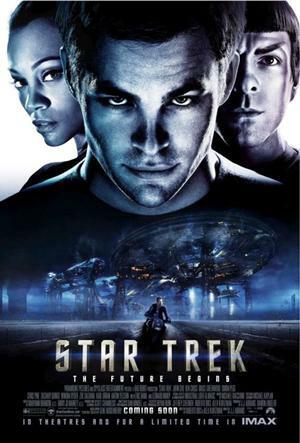 Kirk (Chris Pine) leads Spock (Zachary Quinto), Uhura (Zoe Saldana), Bones (Karl Urban), and Scotty (Simon Pegg) in a fight for survival in the space age. The movie’s official trailer doesn’t give away many plot details, but it shows that it will have the same high energy action scenes which are interrupted by plenty of comedic breaks, no doubt the contribution of Simon Pegg who also serves as one of the film’s writers. Overall, this is the 13th Star Trek movie – and the 3rd installment from the rebooted franchise – to hit theaters! However, it’s the first to be released since the passing of legendary actor Leonard Nimoy, the beloved entertainer who made Spock a household name. Based on the critical acclaim of the first two films in this series, you can expect this movie to be a big hit with fans of all ages. It’s currently unrated, but if it matches the first two films in this series, it’ll be PG-13. If they can fend off the bad guys from outer space, the next guy can fend off the bad guys right here on Earth. He’s back…and he (finally) knows who he is! The film’s “first look” trailer is brief, but it gives plenty of reasons why this movie will be huge. With the release of the film’s official trailer, even more clues are dropped as to where this storyline is headed. 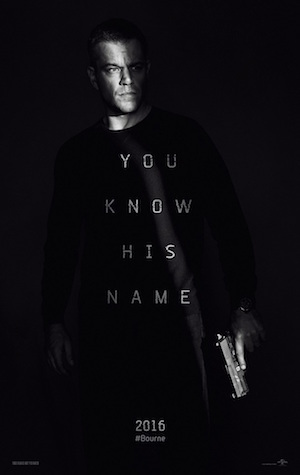 Bourne now knows who he is, but there are still many questions left unanswered. Fortunately for him, Nicky Parsons (Julia Stiles) will be in the film to help him…but there will be plenty of Treadstone agents standing in his way. The cast, directed by Paul Greengrass from two of the first three Bourne films, will also include the likes of Tommy Lee Jones and Alicia Vikander. While currently unrated, Jason Bourne will probably receive an MPAA rating of PG-13 like the three films before it. And just in case Bourne can’t save the day, the next “heroes” on our list are willing to destroy Earth to get the job done. 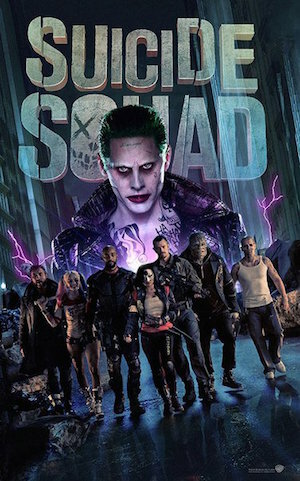 If you’ve never heard of DC Comics’ Suicide Squad, just envision the world’s worst super villains working for the United States government on highly secret missions to earn commuted sentences. So, kinda like The Avengers…from death row. This movie is part of DC Comics’ “Extended Universe” which included Superman v Batman: Dawn of Justiceearlier this year. The film will be rated PG-13…but barely. Without any apologies, filmmakers from Suicide Squad are going to push the envelope on every front. It will be darker and grimmer than most superhero films tend to be. It will also include its fair share of sexuality. This will be another one of those movies that you’ll definitely want to consult our MOVIE REVIEWS & QUICK Qs page before seeing with your kids. You won’t have to consult anybody about whether to see the last film on our list…. WARNING: After watching this movie’s highly vulgar and expletive-laden trailer (along with the red band trailer which common decency won’t permit me to link), I can honestly say, this one is as crude as it is nonsensical. The animated film, which is about food’s misplaced desire to be taken home from the grocery store by humans, was created and written by the same folks behind Superbad, Pineapple Express, This Is The End, and Neighbors. That list alone should provide you with enough information for you to know you should skip this filthy flick. Sadly, the list of very popular cast members will make it super intriguing for many young moviegoers. The actors/actresses voicing food products includes Seth Rogen Kristen Wiig, Jonah Hill, Bill Hader, Michael Cera, James Franco, Paul Rudd, Edward Norton, Salma Hayek, and more. 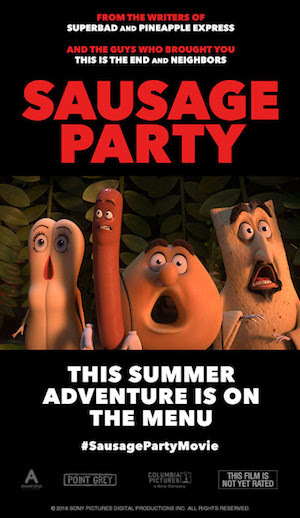 Even if this film is about a sausage’s desire to save his friends from death-by-human-appetite, it’s still a ridiculous flick that will try to make a buck by picking low-hanging fruit…no pun intended. Sadly, 2016’s summer movies ends with one that will give you indigestion. Yep, 2016 will have some awesome movies…and some awful movies. But don’t think you have to swear off the theater because of films like Sausage Party and Neighbors 2 (from Part One of this article series). All you need to do is use some discernment in making decisions about which flicks are appropriate for your family. Here are a few resources that will help you do that. MOVIE REVIEWS & QUICK Q’s page. This is one of the most popular resources on The Source for Youth Ministry’s website. In addition to discussing whether or not the film is any good, our movies buffs also share the appropriateness of the film’s content. But then they go one step further and even provide a few questions that will help you launch into a spiritual discussion with teenagers. 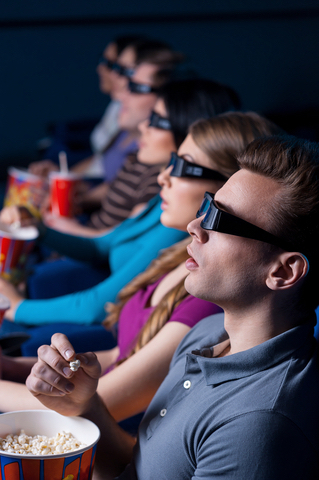 In most cases, we have the summer blockbusters reviewed and posted by the film’s opening weekend. Make sure to check out this totally free tool! Jonathan’s Blog. In addition to speaking and writing, Jonathan is also an avid movie watcher. 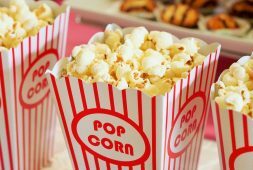 For many of the films on this list, Jonathan will watch them and offer his two cents in his blog that you can easily subscribe to. Sometimes, he even runs contests for free movie tickets! Make sure to subscribe to this fun and informative resource. MOVIE CLIP DISCUSSIONS page. If a movie has a powerful clip or teachable dialogue, there’s a good chance it’s on our Movie Clip Discussions page. This completely free resource shows you how to take advantage of a movie scene to have a biblical conversation about faith, life, relationships, integrity, and many other topics with teenagers in your life. We provide a list of questions and a Bible passage with exactly what to say. It’s the total package when it comes to using some of Hollywood’s most popular films to positively impact kids’ lives. There you have it. All the resources you need to make a decision about which films to watch and which films to skip. 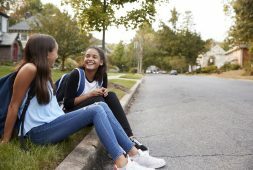 We hope you have a great summer at the movies spending high quality time with your teenagers making memories they’ll remember long after the credits roll.